Social Jungle provides social media training and advice specific to the agriculture, food and rural business sectors. 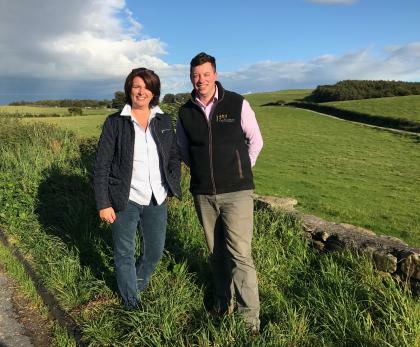 Set up by Simon Haley and Alison Teare, who teamed up after attending the Challenge of Rural Leadership course in 2015, they said it aims to educate and give the sector confidence in how to use social media for business growth and development. Alison, who has over 20 years’ experience in business and marketing, said: "Changes in the platform, including video and live streaming, have only extended these opportunities and the agriculture and food sectors are ideally placed to benefit from them." Social Jungle has delivered seminars, workshops and training across the UK this year. The next training event, including the very latest innovations in the world of social media, will take place at Harper Adams University on November 23 for delegates from companies, organisations and charities within the sector. Click here to find out more and take advantage of the early bird offer, which ends on September 30.